A lesbian couple was found dead beside a dumpster last Friday in Port Bolivar, Texas and all police have to go on is a composite drawing. Officers describe the suspect as "a black male with an average build, standing between 5 feet 11 inches and 6 feet tall. He's in his late 20s or early 30s." 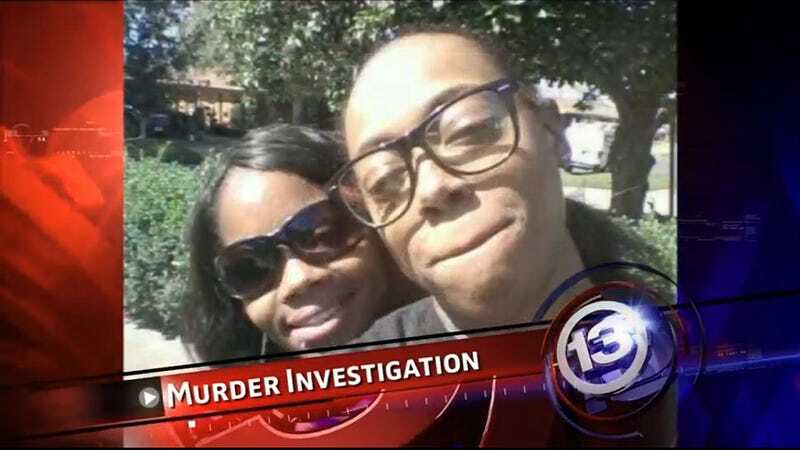 The corpses of Britney Cosby and Crystal Jackson, both 24, were identified on Friday morning and police told ABC 13 they believe the murders were random because each woman was killed in a different manner. Cosby was bludgeoned while Jackson killed with a gunshot wound. The couple had been dating for two years and lived together, Jackson leaves behind a five-year old son. Jackson was a barista at Starbucks, and Cosby was a security guard, reports Lone Star Q. Friends and family say that Cosby and Jackson had driven to Galveston for Mardi Gras, Elixher writes. Police believe the couple was killed elsewhere and their bodies were moved to the dumpster just north of Galveston. Authorities are also searching for Cosby’s silver 2006 Kia Sorrento with paper tags, if found, the late woman’s car could provide clues that will identify their killer. It is undetermined whether these deaths were the result of a hate crime or something else, however if you have helpful information, call the local sheriff’s office tip line at 866-248-8477 or Galveston County Crime Stoppers 409-763-8477.